Your home is composed of various, interrelated parts. Things like occupants, climate, HVAC units, and appliances all combine to form an indoor living environment. These systems work in tandem: changing one thing can have a ripple effect on the other systems in the home. 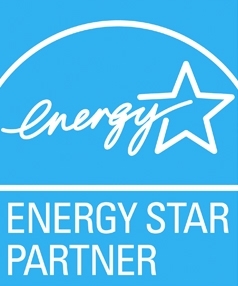 At California Energy Services, we take your whole home into consideration when completing a home improvement project. Our professionals are well-versed in how home systems relate to one another, and work to make sure our upgrades will benefit multiple systems of your home. Whether it’s obvious or not, your home is riddled with small cracks and gaps. Though each is very small, taken together these gaps can be the equivalent of leaving a window open year-round. At California Energy Services, we offer professional air sealing services that target and seal these cracks and gaps, meaning your home isn’t as leaky and costly as before. Whether spray foam, cellulose, or fiberglass, our high-performance insulation options are designed to help you stay cozy this winter. Our team will evaluate your existing insulation, and determine whether the best thing is to add more, start fresh, or make a different upgrade. We’ll work with you to evaluate the best options for your project, taking efficiency and budget seriously when laying out a plan that works best for you. Ready to get started? At CES, we’ll make sure your home is working efficiently and comfortably. Call us today to schedule your insulation and air sealing evaluation! Newer PostDo You Need to Schedule Heating Maintenance? Older PostLooking for a New Heating Unit?